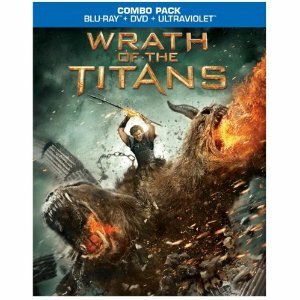 WorldMovieStore - Wrath of the Titans Sinopsis. Dangerously weakened by humanity's lack of devotion, the gods are losing control of the imprisoned Titans and their ferocious leader, Kronos, father of the long-ruling brothers Zeus, Hades (Fiennes) and Poseidon (Danny Huston). Perseus cannot ignore his true calling when Hades, along with Zeus' godly son, Ares (Edgar Ramrez), switch loyalties and make a deal, with kronos to capture Zeus. Unfortunately, Zeus (Liam Neeson) arrives to tell his son that the end of everything is right around the corner if Perseus doesn't help him defeat an even bigger threat, Perseus's grandfather Chronos, whom Hades (Ralph Fiennes), god of the dead, has conspired to release from an underworld prison. Special effects and brutal action ensue! The likable but bland Worthington has (maybe) one facial expression through the entire movie, while heavy-hitters Neeson and Fiennes mope and regret with little enthusiasm. Wrath of the Titans is aimed squarely at computer-generated-action junkies. --Bret Fetzer. Read More Sinopsis. 0 Response to "New Release Wrath of the Titans Blu-ray"